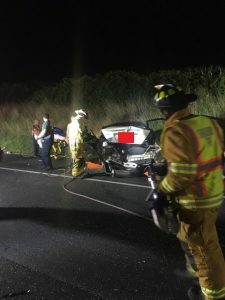 At 9:19pm Shrewsbury Volunteers were dispatched to assist the Loganville Fire Company with a reported accident with entrapment, unconscious patients, on Interstate 83 at mile marker 8 Northbound in Springfield Township. Rescue Squad 61 and Engine 61-2 responded. 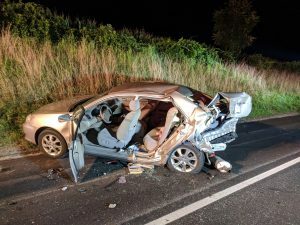 Enroute Chief 63 (Loganville FC) advised the accident is south of milemarker 6 Northbound which put it in Shrewsbury Township. Rescue 61 arrived and Chief 61 (Myers) established Shrewsbury Command. Chief 61 advised they have multi vehicles, heavy debris and people laying on the roadway. 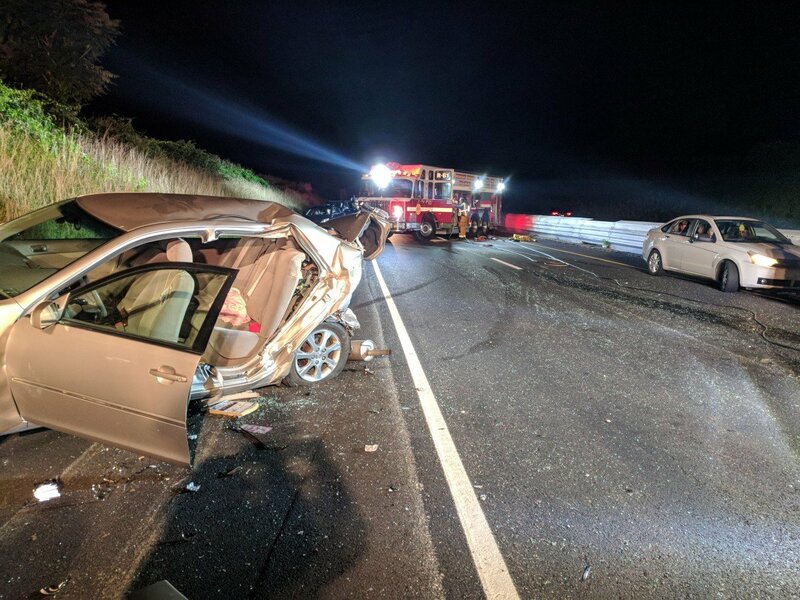 Command 61 advised York County 911 to have all units coming from Exit 8 to use the turnaround at milemarker 6 and then access the accident by traveling south in the northbound lane. Initial triage has two trapped, at least 3 high priority patients and mulitple “walking wounded”. Additional EMS units were requested due to the increased number of patients. 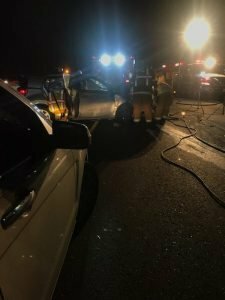 Shrewsbury Rescue 61 went to work and removed wreckage from those who were trapped, firefighters from Loganville established a fire hose to protect those still trapped and additional personnel from Shrewsbury’s engine assited in the extrication process. EMS units arrived and were given instructions on what patients needed immediate attention. EMS units from Glen Rock (x2) , Jacobus, Seven Valley EMS, York Regional EMS, Rose EMS, YAUFR EMS, Red Lion EMS and Medic 102-6 were dispatched to the scene. 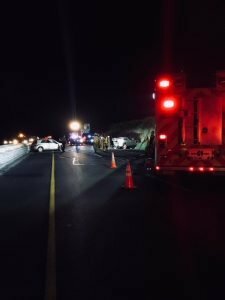 Working under the unified command structure all EMS units received instructions and handled multiple patients, some critical, in a professional and expidious manner. Total patient counts ended up being 3 critical patients, 2 serious, 1 non-life threatening pediatric patient being handled by fire and EMS units on the scene. 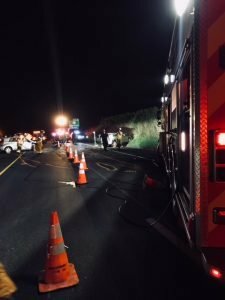 Fire Polilce units from Eureka Fire Company, North-Hopewell/Winterstown, Rose, Glen Rock, Jacobus, Loganville and Dallastown assited with shutting down Northbound 83 at Exit 4 and handling the increased traffic in downtown Shrewsbury due to the detour. Their help was greatly appreciated by all. Pennsylvania State Police handled the investigation. 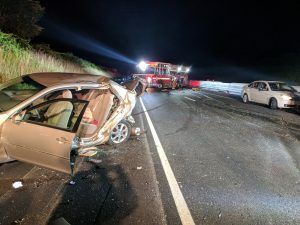 Once all patients were treated and transported fire department personnel on location worked with the towing agency to get one northbound lane reopened to traffic. 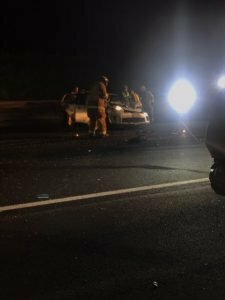 Shortly after that crews were able to get all debris removed and both northbound lanes of 83 were reopened. At 10:45 all fire company, fire police and EMS units were clear of Interstate 83 and returned to their stations. Shrewsbury Volunteers wishes to thank all who worked on this multi-agency incident. The teamwork shown made a serious accident work smoothly and efficiently.